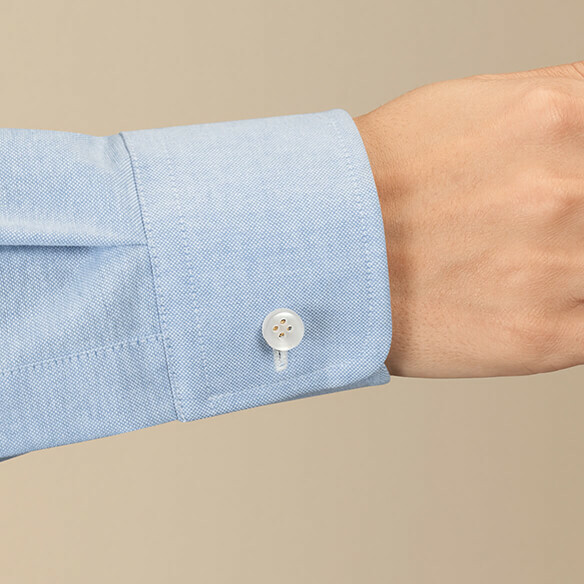 Repair a missing button in seconds with no sewing required! This 24 pc. 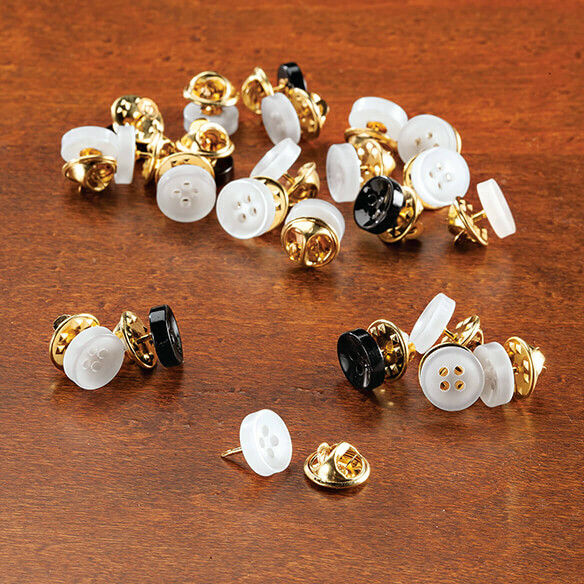 button set with easy-to-use tack backs are perfect for fast, easy repairs on the go. 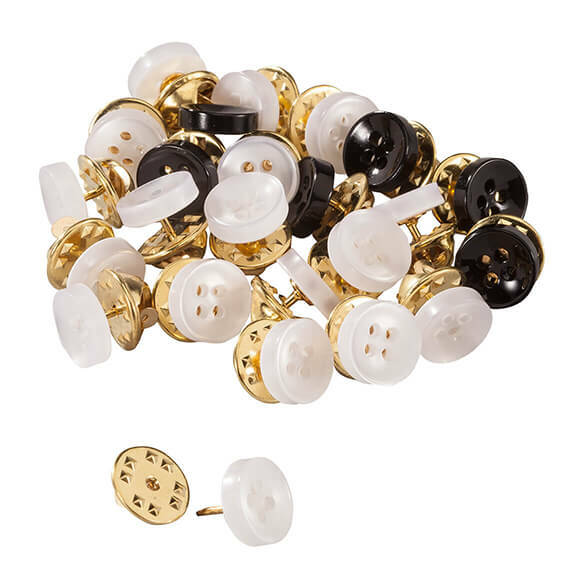 Set of 24 fabric buttons includes 18 white and 6 black — enough to repair or embellish multiple shirts. Each sewing button measures 3/8" dia. Polyresin with goldtone zinc backs.